I read this article and found it very interesting, thought it might be something for you. The article is called Dreaming it up – Dreamgun Film Reads and is located at https://www.totallydublin.ie/arts-culture/dreaming-it-up-dreamgun-film-reads/. Less faithful adaptation, more whimsical reimagining, the Dreamgun crew are ready to imbue film scripts with their own humorous stamp. For someone who hasn’t experienced Dreamgun Film Reads first hand, it can be a little difficult to explain exactly what it is. “That has been the bane of our existence,” says Heber Hanly, one of the group’s four co-founders. Each edition of Dreamgun Film Reads sees the group’s four founders rewrite a classic blockbuster from the eighties or nineties and imbue it with their own sense of humour. It’s less of a faithful adaptation and more of a whimsical reimagining. 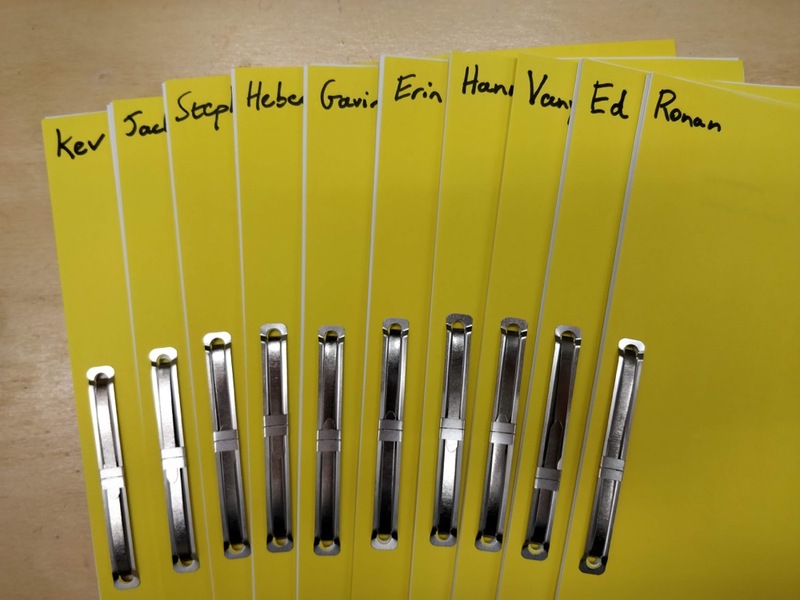 The rewritten scripts are then handed to an ensemble of comedians and actors, performed in front of a live audience, and recorded for posterity. Since making their debut in Bello Bar a few years ago, Dreamgun Film Reads has developed somewhat of a cult following. 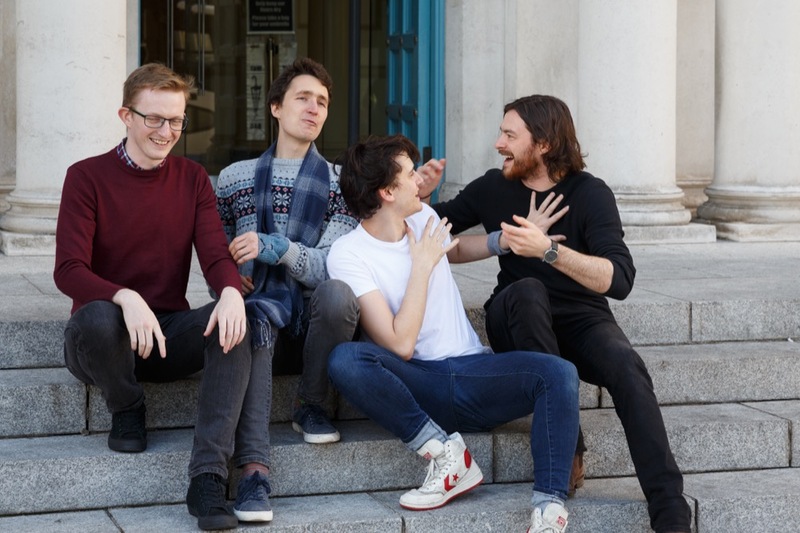 A recent run at the Dublin Fringe Festival saw them attract packed crowds each night and ultimately walk away with the festival’s award for Best Ensemble. This month, they will perform Miracle on 34th Street in Whelan’s. At its core, Dreamgun is comprised of four members – Stephen Colfer, Gavin Drea, Heber Hanly and James McDonnell. Drea, Hanly and McDonnell all attended school together, while Colfer became familiar with them through the likes of Young Film Makers Ireland and Fresh Film Festival. It was when the group was fundraising for Chaos Theory that they accidentally hatched the idea for Dreamgun Film Reads. Not wanting to go down the usual table quiz route, they decided to stage a performance of Jurassic Park with a few jokes thrown in here and there for good measure. A year later, they revisited the concept and decided to stage Back To The Future. It was here they began to develop the format. 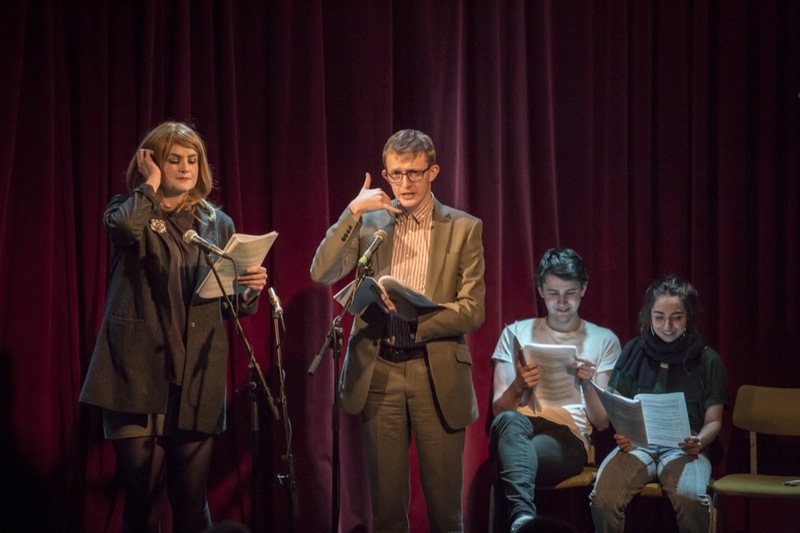 Inspired by old-school radio shows like The Goon Show and The Mercury Theatre on the Air, they incorporated a narrator into their scripts and started using radio mics in their live performances. “It’s presented the same way as a radio play, specifically a serialised radio play where you have a cast reading a script with no rehearsal,” explains Colfer. Soon, they assembled a regular ensemble comprised of the likes of Vanya Eccles, Hannah Mamalis, Ed Sammon, Ronan Carey and Erin McGathy. When McGathy asked if she could record one of their performances, they decided to turn it into a podcast. In other words, they learned as they went along. The process of adapting a blockbuster is a painstaking one, complicated further by the fact that Drea and McDonnell are based in London. “First we have to pick a film,” says Drea. Once a film has garnered enough interest, they will either arrange to watch it together or commit to watching it individually. They can quickly ascertain whether a film is a good fit for the project. For instance, neither Speed 2 nor Face/Off fit the bill because they were too action-heavy and dialogue-light. Once they settle on a film, the writing process begins. The script is divided into four parts and each writer is tasked with writing their own section. Working remotely, they have to consider how they can make the film work within the parameters of a live performance. They aren’t precious about cutting iconic scenes or amalgamating characters if it makes the script tighter and more coherent. A few days before the show, Drea and McDonnell fly into Dublin and the four work on the scripts together, making ruthless edits and hashing out last-minute gags. “That last fine-tuning is where all our gold comes from,” says Hanly. Since starting Dreamgun Film Reads, the crew have sent up classics like Die Hard, Psycho, Titanic, Terminator 2, Batman Begins, The Silence of the Lambs and Goldeneye, among others. Familiarity with the source material is ideal, but not essential. As much as Dreamgun are paying homage to specific films, they are also lampooning movie clichés that even casual filmgoers are familiar with. Next March, the group will stage a live performance of the Lord of the Rings trilogy in Vicar Street. It promises to be their biggest and most ambitious show to date. “It’s all three films in about two hours, maybe?” says Hanly. “I would say two and a half,” replies Colfer. Peter Jackson, eat your heart out.